I've had a lot of leaky diaper problems at night for my little guy. 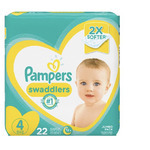 I was using pampers but saw some people recommend Huggies overnights. I am sold!!! What a fabulous overnight diaper. It fits nice. Forms to his body well and is still stretchy for comfort. The best part..No leaks!!! 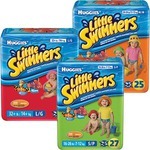 I bought these when I was tight on money as these were on sale and had enough diapers in it to last us until pay day. My daughter has a hard time fitting most diapers because she is so small, but these ones had the perfect protection for her. Only had to make sure the sides around the bum were pulled around her bum cheeks :). It's the only kind I buy now unless I need something cheaper at the time.